Doctor Who Review: "The Witch's Familiar"
The two-part season opener was devious but well played. 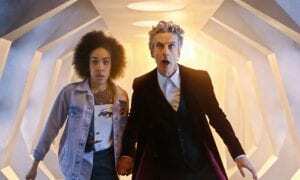 Despite the agony of having to wait another episode for a conclusion, it was both a fulfilling story with a satisfying finish, especially after the months long stretch of No New Who. Before we get into everything else, I have an embarrassing confession. Davros played me and played me well. Holy cheeseballs, Batman. I held out, stayed firm, skeptical to almost the very end but eventually the tides turned. Man oh man was that writing spectacular. I was moved. The chemistry between Capaldi and Julian Bleach was palpable throughout their scenes and I couldn’t help myself. Anywho, luckily we didn’t wait long to find out Missy and Clara really didn’t get vaporized, although I’m already weary of a “is this Clara’s last episode” theme, much like season 2’s increasingly repetitive narrative of the 10th Doctor barely keeping Rose alive to fulfill his promise to her mother that he would always keep Rose safe. Don’t get me wrong, the show has historically been riddled with plot twists and dangling the lives of companions in front of audiences for decades. I just hope the focus of this season has more depth than just Clara’s potential demise. Thankfully, we have Missy, and hopefully she sticks around even though she’s in really hot water with the Doctor. Masterfully playing both sides throughout the two-parter, Missy seemingly teams up with Clara to help save the Doctor only to push her into a sewer, handcuff her to use her as Dalek bait, trap her in a Dalek suit of armor, and almost shockingly tries to convince the unknowing Doctor to kill the Dalek that is Clara. I’m not even mad, I’m impressed at her complete Chaotic Neutral behavior. And Michelle Gomez pulls off the facial expressions and attitude with artisan precision. Truly spectacular. I’m going to say it probably every time she shows up, but I need a Missy spin-off series. You need a Missy spin-off series. THE WORLD NEEDS IT. I was especially impressed with Missy’s re-telling of an old story about the Doctor and in the quick flashbacks we start with the First Doctor, flash to the Fourth Doctor, and eventually get to the Twelfth Doctor, all mixed into the same story because, as Missy puts it, it doesn’t matter the face he has, the story is of one man: The Doctor. It was a touching hat tip to the original series and its fans and overall a good reminder that despite the quirks and oddities of each individual that plays the Doctor, they all embody the same idea. I’m still a little unsure of the nature of why the Doctor threw himself the party and sent his last will and testament – was it because he knew he needed Missy and Clara (or just help in general) to help him out of the situation with Davros? Was it all part of a plan? Or did he really think he was going to die? We’ve watched how he preps for a regeneration (he doesn’t) but this time around he’s preparing to actually die? Even though he still has regenerative power and even references that he might be really small down the line for giving some regenerative power to the dying Davros? 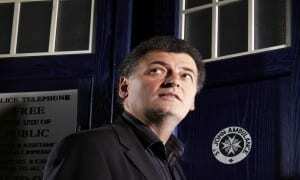 So there is a down the line and being a bit meta here, the show is expected to run at least until 2020, according to Moffat. So I guess the details are all a little timey-wimey for me. I’ll try not to think about them too hard. The sonic sunglasses will take some time to get used to, though I will say I initially liked them. It would be ideal if they simply replace 10’s goofy blue and red paper 3D glasses to keep things unique to each Doctor, however I’m not totally sold on the idea of them fully replacing the sonic screwdriver. The harsh critic in me wonders if it’s a marketing ploy since sunglasses are much more easily sold than sonic screwdrivers that see less-than-everyday use. Maybe it’s the beginning of a new sonic era, maybe we’ll have a ceremonious introduction of Twelve’s personalized sonic. Moffat knows. Though I wish Twelve would have been able to keep Davros’ chair. That was probably the highlight of the entire episode. All in all the episode was fantastic. It’s unfortunate all of the character development of Davros was all for naught but it was still an exciting addition to his interactions with the Doctor. Missy’s constant table turning kept things from being too predictable, and Clara didn’t have a huge impact on the overall episode but nonetheless played an integral part in the storyline. “Under the Lake” is the next episode and it looks like Twelve finds his old suit and we might be in for a good old fashioned Doctor Who adventure. Moffat will step aside to allow Daniel O’Hara (Silent Witness, The Game, Being Human) to direct a Toby Whithouse script (“The Magician’s Apprentice,” “The Making of the Gunslinger,” “A Town Called Mercy”). Interesting times await! What was your favorite part about this week’s episode?